Seeing as a new Mad Max film (Mad Max: Fury Road) hits the cinemas this week, I thought I’d look back at the main character of the franchise. 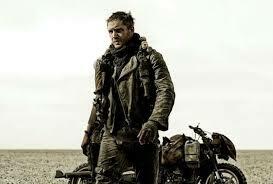 Max Rockatansky. Originally played by Mel Gibson in the film Mad Max from 1979. Mad Max was created by George Miller and Byron Kennedy and went on to appear in three sequel films; Mad Max 2: The Road Warrior, Mad Max Beyond Thunderdome and the recent reboot (that supposedly ignores Mad Max Beyond Thunderdome) to the series Mad Max: Fury Road. Mel Gibson played the character in the first three films but was later recast with Tom Hardy playing the role in Mad Max: Fury Road. 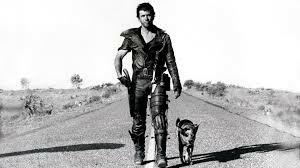 Max Rockatansky was a Main Force Patrol (MPF) Officer in a dystopic Australia which is the setting of the series, with criminals and gangs running rampant. Max is tasked into keeping the peace among all the criminal activity. A very quiet man and often thought to being the best officer on the force, Max never really paid much attention to his own reputation and was occasionally worried he was becoming as heartless and careless as the criminals he pursued. Max was driven to quit his job after his partner Goose was killed when burnt alive by a biker gang known as The Zed Runners lead by Toe-Cutter. Goose was killed as punishment for killing one of The Zed Runners members, Night Rider. Max takes his wife and child on holiday, but a chance run in with The Zed Runners biker gang leads to them murdering Max’s wife and child. Max swears vengeance and systematically hunts down each of The Zed Runners gang and kills them all…hence Mad Max. Over the years Max becomes a recluse and uses the open road has his playground wandering the wasteland of the outback in his battle scarred Pursuit Special. Max has lived an adventurous life from helping a group of people escape gang persecution in Mad Max 2: The Road Warrior to fighting in the Thunderdome and becoming a God of sorts to a group of surviving children in Mad Max Beyond Thunderdome (don’t ask, it’s not very good). Up to his most recent adventure Mad Max: Fury Road where Max teams up with Furiosa who wants to return to her childhood homeland while being pursued by gangs of the apocalypse. Max is a loner by choice after the death of his wife and child. Highly skilled in driving and fast pursuit and considered the best driver in the MPF. Often seen with his iconic Pursuit Special also known “the last of the V8s”. Max is also used to guns with his standard issue revolver (though he never uses it in the films) to his favoured sawn-off shotgun. As well as being skilled with mechanical and electronics by performing repairs on his vehicle or even setting up traps should someone tamper with his car. Max had learnt to become a survivalist in the harshness of the dystopian Outback he has chosen to live in and can even withstand a fair amount of pain. Unlike most heroes in films, Max actually has continuity with his injures. From his knee being shot in the first film resulting in him walking with a leg brace and a limp in later films and even an eye injury he sustained in Mad Max 2: The Road Warrior carrying over into Mad Max Beyond Thunderdome, Max has been through the wars and survived. With the recent release of Mad Max: Fury Road meeting with very good reviews (I’ve yet to see it), it looks like Max’s revival could be a good one and a strong possibility of seeing even more Mad Max films in the future. While Mel Gibson will always be Mad Max to me, even with Tom Hardy now playing him, Max is still a great character and I hope there are more films in the series to come. This entry was posted in LBoM: Characters and tagged LBoM: Characters, little bits of movies, Mad Max, Max Rockatansky on 18/05/2015 by Steve Perrin.